Women of Color in the Workforce Dinner and Dialogue was held on January 15 in the Philip Weltner Library atrium. This empowering event welcomed more than 120 Oglethorpe students and alumni, faculty and staff, and accomplished Atlanta professionals from varied career fields. 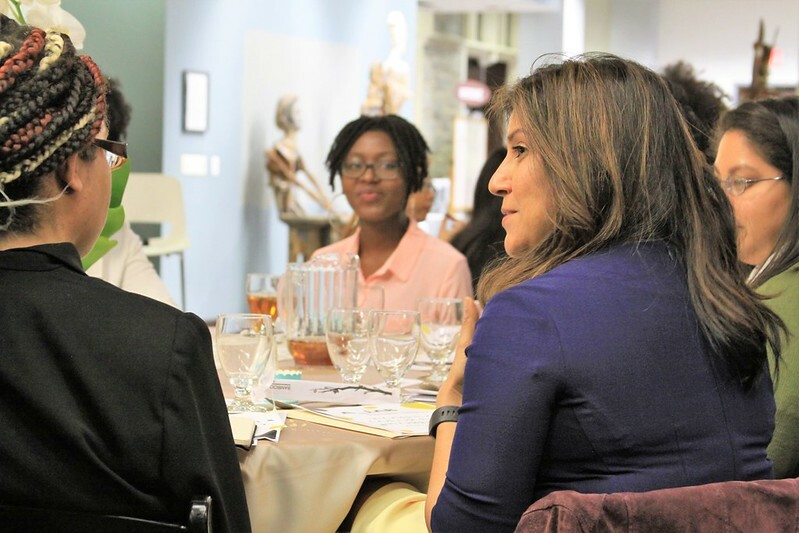 The gathering closed with a networking session in the Oglethorpe University Museum of Art, which offered attendees a special preview of the spring exhibition Stories Without an End: Power, Beauty and Wisdom of Women in African Art of the Mehta Collection.